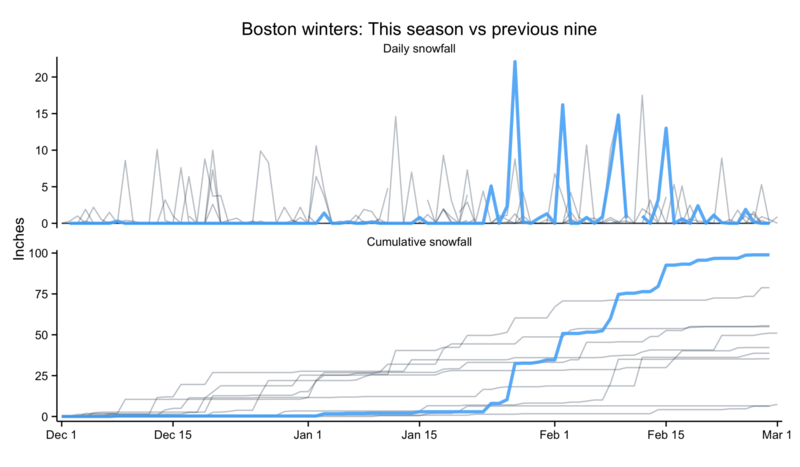 Those of us in Boston just wrapped up an almost historic winter1 and it was particularly painful. Likely because we were lulled into a false sense of security by the (comparable) lack of snow relative to the last few years. Until the end of January — then everything changed. I wrote and posted a little Gist that shows how to generate the graph above.